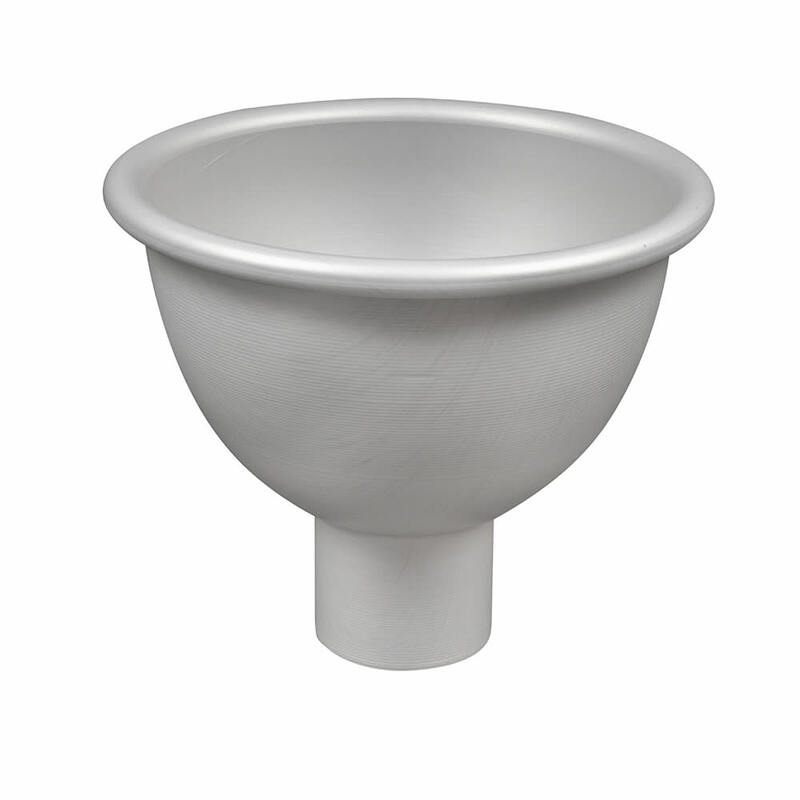 The American Metalcraft 1004 funnel is made of a single piece of aluminum for strength and durability. The aluminum is 14 gauge and 11⁄2 millimeters thick. Its neck is 3 inches in diameter so product is easily directed into the container below. The American Metalcraft 1004 funnel's bowl has a 4-quart capacity. "Used in restaurants for pouring items in jugs ." Definitely buy again exactly what I wanted.